Work experience is a valuable way for students to experience a workplace environment and apply their knowledge and skills to real-life situations to increase their employability. Work experience, which is mandatory for 16 – 18 year olds on full-time courses, allows students to explore their career options in a placement which is relevant to their course or career aspirations. Businesses also see the benefit of work experience, as placements allow them to meet future employees and gain new ideas from a young person’s perspective. Furness College currently works with 700 Cumbria-based businesses in a variety of sectors, including BAE Systems, Gilmours, Travis Perkins, Barrow AFC, Carefree Travel, Risedale Estates, Abbey House Hotel, United Utilities and a large number of local nurseries, primary and secondary schools. As well as making connections with local employers, Furness College works collaboratively with other colleges in the area to provide the best experiences for our students. 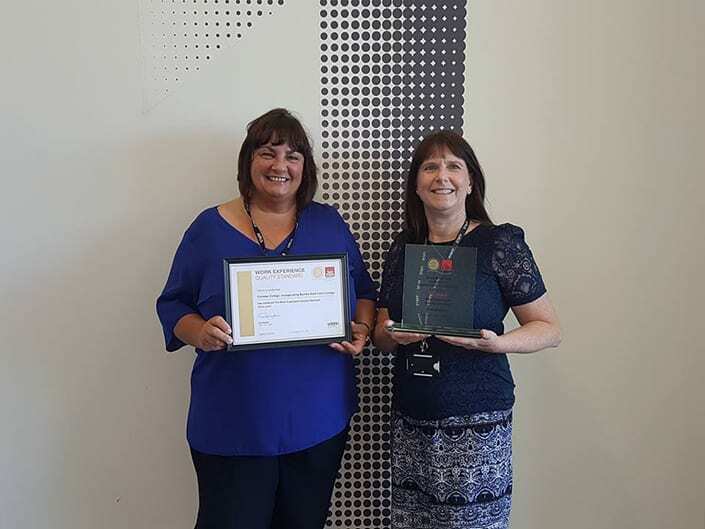 As a result, Furness College is the only college in Cumbria to be awarded Fair Train’s Work Experience Gold Quality Standard, which recognises the high quality of our work experience placements and support. Visit www.fairtrain.org, the UK’s work experience expert, for more useful information.